[S9] Ancestry.com, 1860 United States Federal Census (n.p. : Online publication - Provo, UT, USA: Ancestry.com Operations, Inc., 2009. Images reproduced by FamilySearch.Original data - 1860 U.S. census, population schedule. NARA microfilm publication M653, 1,438 rolls. Washington, D.C.: National Archives and Records, unknown publish date), Year: 1860; Census Place: Montezuma, Cayuga, New York; Roll: ; Page: 731; Image: 254. Nellie (?) married Allen Tosh. [S9] Ancestry.com, 1860 United States Federal Census (n.p. : Online publication - Provo, UT, USA: Ancestry.com Operations, Inc., 2009. Images reproduced by FamilySearch.Original data - 1860 U.S. census, population schedule. NARA microfilm publication M653, 1,438 rolls. Washington, D.C.: National Archives and Records, unknown publish date), Year: 1860; Census Place: Montezuma, Cayuga, New York; Roll: M653_729; Page: 731; Image: 254; Family History Library Film: 803729. [S26] 1900 United States Federal Census, online , Year: 1900; Census Place: Montezuma, Cayuga, New York; Roll: T623_1013; Page: 9B; Enumeration District: 34; FHL microfilm: 1241013. Source Citation: Year: 1900; Census Place: Monroe, Orange, New York; Roll: 1140; Page: 2B; Enumeration District: 0027; FHL microfilm: 1241140. Mary Lash Montezuma 17 Montezuma James E. Lash Mary J. Carner G.C.Wood. [S1048] Familysearch.org, New York Probate Files 1829-1921, unknown repository, unknown repository address, "New York, Probate Records, 1629-1971," images, FamilySearch (https://familysearch.org/pal:/MM9.3.1/TH-1942-24585-4863-40 : accessed 26 Oct 2013), Cayuga > Wills 1893-1898 vol 34A-34B > image 804 of 848. [S67] Town of Montezuma Records, online http://web.archive.org/web/20020212104157/http://…, (Waybackmachine), Jan 23, 1918 William v. Harrington Andrew J. Harrington Estella M. Howard Nellie T(J)osh Henry Tosh Sarah Shotz. Kate (?) was born circa 1844 at Wurttemberg.1 She married George Shotz. Estella M Howard married Andrew Harrington. Andrew Harrington married Estella M Howard. 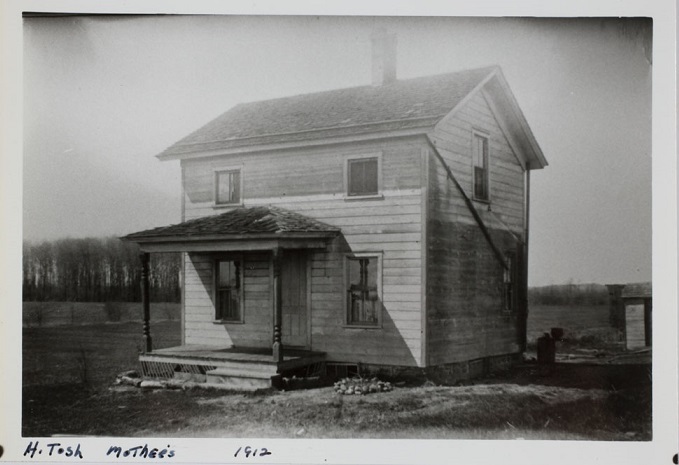 [S1] 1870 United States Federal Census, online , Year: 1870; Census Place: Montezuma, Cayuga, New York; Roll: M593_911; Page: 486A; Image: 166; Family History Library Film: 552410. [S948] Unknown author, The Lyons Republican (n.p. : n.pub., unknown publish date), Obituary. Coroner N. L. Woodford of Union Springs issued a verdict of "death due to heart attack" after the body of Horace Carner, Sr., 75, was discovered at noon Friday in his home in Montezuma where he lived alone. A son, Horace Carner, Jr., also of that village, found the body when he stopped to visit his father. The coroner said that the man had died only a short time before he was discovered lying on a bed. He was apparently stricken after returning home from a visit to a grocery store in Montezuma. 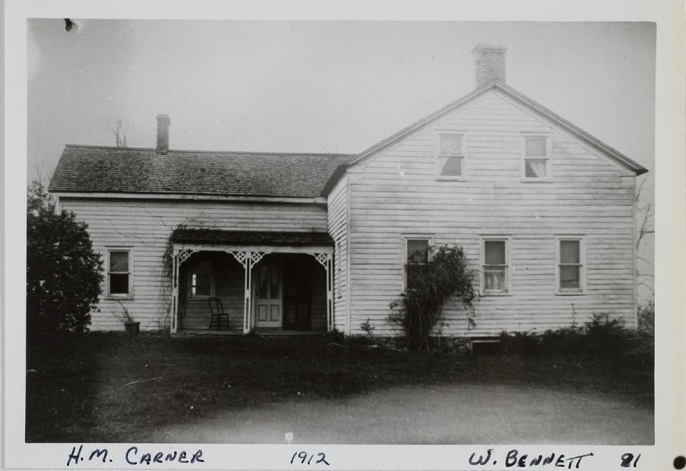 Mr. Carner was born in Montezuma and always made his home there. He was active in farm work until retiring a year ago. He had not complained of illness and had been around the village each day. He paid a visit to a store Friday morning to get his week-end groceries and some other household necessities and apparently was in good health. The coroner decided an autopsy was unnecessary and released the body to Langham's Funeral Home. Suriving besides the son are a brother. Robert Carner, Montezuma and four sisters, Mrs. Eva Kellar, Weedsport: Mrs. Lottie Foster, Spring Lake: Mrs. Mary Peer, Rochester and Mrs. Sarah Townsend, Clyde. Services will be held at 2 p. m. Monday at the home of his son. The Rer. Kenneth Stewart, Montezuma Methodist Church, will officiate. Burial will be in Fosterville Cemetery. State (Year) SSN issued: New York (1965-1966). [S593] Auburn Argus, Auburn, NY, William Keller eod Miss Eveline Carner, daughter of Mr. end Mrs. Horace Carner, were united in marriage December 31. Find A Grave Memorial# 101279874. [S38] Find a Grave, online , Cemetery Records. [S26] 1900 United States Federal Census, online , Year: 1900; Census Place: Montezuma, Cayuga, New York; Roll: T623_1013; Page: 21B; Enumeration District: 34; FHL microfilm: 1241013. "Mother" - Wife of David S.
Find A Grave Memorial# 18558569. [S69] 1940 United States Federal Census, online , Year: 1940; Census Place: Rochester, Monroe, New York; Roll: T627_2845; Page: 4A; Enumeration District: 65-132. [S85] Montezuma Birth Records, online <http://web.archive.org/web/20001110085900/http://…>, Smith, Viola (f) July 5, 1896 Montezuma Mary Frances Carner(19) Montezuma Frank Smith (24) Farmer Port Byron. Source Citation: Year: 1900; Census Place: Mentz, Cayuga, New York; Roll: 1013; Page: 14B; Enumeration District: 0033; FHL microfilm: 1241013. Mary G. Carner Montezuma 18 Montezuma Horace Carner Emily F. Miller Edward Jones. Find A Grave Memorial# 21727668.